Need to ship a car from Charlotte, NC to Boston, MA? One of the oldest cities in the United States, Boston is a located in Massachusetts. It is the capital of the state and its population is over 650,000 residents, making it the largest city in New England. Boston is known as an intellectual center with over 100 colleges. 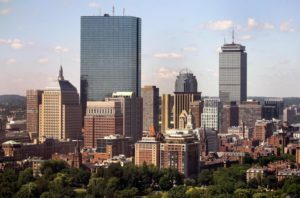 Many young people relocate to Boston to study, and the city also has plenty to offer to visitors. That is why Boston is a common destination in car transport routes. So when you need to ship a car from Charlotte, NC to Boston, MA, just look for a reliable auto shipping company. If you are thinking about moving your car from Charlotte, NC to Boston, MA by driving it, you should do some calculations. For instance, there are over 800 miles between Charlotte and Boston. This distance means that you would have to be on the road over 12 hours, which comes with gas expenses. Moreover, you would add those 800 miles to your car’s mileage. After you do the math, driving to Boston might not seem like the best choice. Luckily, you can always get Charlotte auto shipping to Boston. Charlotte Car Transport provides state to state auto transport services all around the United States. We will be happy to ship your car to Boston for an affordable price. Our team guarantees the high quality of our auto transport services and offers great special discounts. We also beat our competitors’ prices! Contact Charlotte Car Transport for a free quote. Fill out a simple form here on our website or give us a call at our office during business hours. We will be happy to ship for you!